NACOGDOCHES, TX (KTRE) - Set to kick off in Nacogdoches in just a couple of hours is the gala marking the grand opening of The Fredonia Hotel. The 62-year old landmark had a public celebration earlier Friday. It was a "blast from the past." There was music in the streets for the opening celebration of the Fredonia Hotel. Just like in 1955, when the SFA band showed up at the hotel's first opening. "George was here when they opened," the speaker said. "The original grand opening." The Fredonia's longest serving employee, George Arriola says today's crowd couldn't match the 6,000 people on hand 62 years ago. "It was the most people we had ever seen," Arriola said. "And it was the first elevator that anybody had ever ridden." Twentieth century amenities are here now, thanks to owners Richard DeWitt and his wife Barbara. They love the nostalgic stories about the once community-owned hotel. Richard recalled Sunday brunch there as a child. The hotel fell into bankruptcy with no buyers. Sentiment led the DeWitts toward a more than $11 million leap of faith. "They are the right people, at the right time, with the right heart to take this project far beyond what any of us could have imagined," said Nacogdoches Mayor Shelly Brophy. After three years of renovation, the DeWitt's continue to say the business venture isn't for the money, but for the community. "It is very overwhelming, and we're excited about it and we did it for the city of Nacogdoches," Barbara DeWitt said. "Thank you for supporting the hotel and continue to supporting us. We need all the help we can get," Richard DeWitt said. Customers were faithful to The Fredonia Hotel on Friday. Guests lined up for menu specials of Salisbury steak and chicken and dumplings. "They're both $2.95, the 1955 price," a server said. 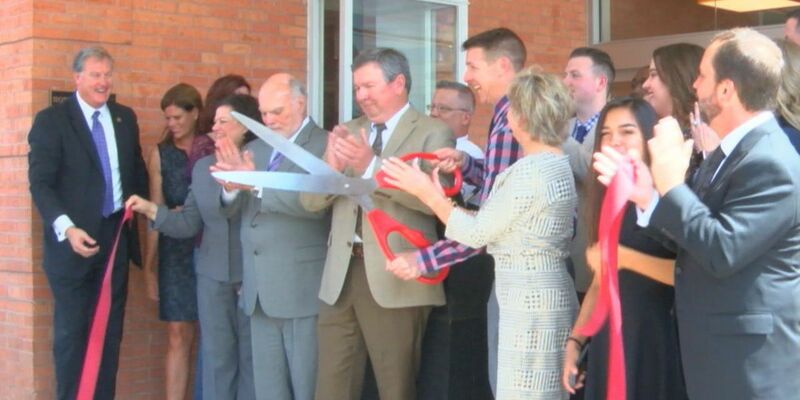 It was just a fun way to begin the next chapter for The Fredonia Hotel. The Fredonia Hotel renovation required special state legislation. The hotel currently retains hotel occupancy and sales tax monies to help finance the project. Both Representative Travis Clardy and Senator Robert Nichols took part in today's celebrations.